3687 CR 481 - Piggott Realty, Inc.
3 stall horse barn, pond & nice storage building. 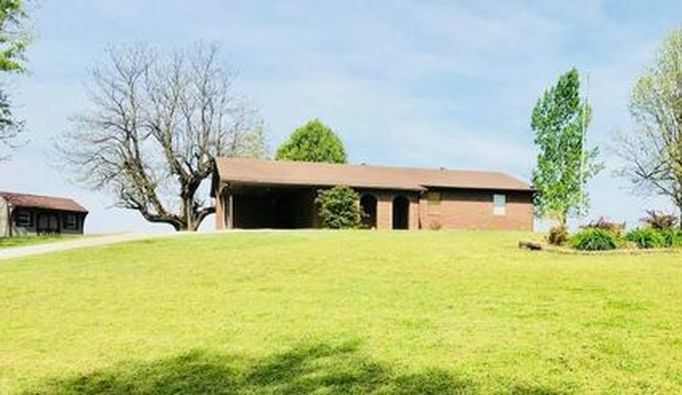 Beautiful views overlooking ponds, rolling hills and pasture ground! 3 Bedrooms - 2 Full Baths - Sun Room - Carport - Open floor plan with Living Room, Dining Room, Kitchen with Dishwasher, island/bar, fairly new countertops & tile, Master Bedroom with walk-in closet, Master Bath with tub/shower combination, linen closet and double vanity. Additional 2 bedrooms with spacious closets and Hall bath with walk-in shower. The Laundry Room features a work sink and large pantry & added storage. Call to arrange your personal viewing of this property! !